The Williams Baptist University campus is coming to life as the fall semester draws near. Classes begin at WBU on August 21, but activity is already picking up as the university prepares for a new school year. Fall athletic teams and international students are returning to WBU this week in preparation for the fall semester. Residence hall staffers will move in this weekend to begin training and to begin preparation for freshman move-in day and Ascend Orientation, which kicks off Friday, August 17. Fall athletic teams, which consists of cheerleaders, women’s volleyball, men’s and women’s soccer, and men’s and women’s cross country, will get underway in their preseason workouts as well. “This is the most exciting time of year for us as Williams, as we prepare to welcome all of our new students and to have our returning students back on campus. WBU exists to transform the lives of these students, so it is a blessing to prepare for another great school year,” said Dr. Jeremy Dutschke, vice president for enrollment management and student services. Returning students will move into residence halls on Sunday, August 19. Convocation takes place on Wednesday, August 22. The special chapel service, which will officially launch WBU as a university, is scheduled for 11 a.m. in Manley Chapel. Williams has transitioned from a college to a university over the past several months. For a complete list of Ascend 2018 events, visit www.williamsbaptistuniversity.com. Williams Baptist University is welcoming CentriKid camps to its campus this week. Along with 30 college and seminary student staffers, there were 318 CentriKid campers enjoying the WBU campus. CentriKid is an overnight, week long camp for 3rd–6th graders. The focus at CentriKid is all about making sure no child leaves camp without a life-changing encounter with Christ. “It is our pleasure to host CentriKids on the campus of Williams Baptist University. What a privilege it is for WBU to be able to extend its mission of compassionately shaping students’ lives through the development of these Centrikid campers for Kingdom purposes,” said Jeremy Dutschke, Vice President for Enrollment Management and Student Services. This year over 10 states are represented at camp including Arkansas, Tennessee, Mississippi, North Carolina, Virginia, Louisiana, Texas, Ohio, Georgia, Kentucky and Alabama. “We look forward to seeing the fruits of these campers’ experiences for God’s glory now and in the future,” said Dutschke. Williams is a Christian, liberal arts university in Walnut Ridge, Ark. New signage at the entrance to Williams Baptist University makes it clear a transition has taken place. The Walnut Ridge institution has moved from college to university this summer, and two prominent signs installed in recent days reflect that change. A tall, illuminated sign was completed over the weekend along Highway 67 at Fulbright Ave., where drivers turn toward the Williams campus. And, once visitors arrive at the campus, the large, brick entry gate now has Williams Baptist University emblazoned across the front. “After all these months of planning, the new signs make it seem very real to us that Williams is now a university. The excitement among our alumni and friends has been the most gratifying part of this phase, with social media photos of the new signs lighting up the Internet,” said Brett Cooper, vice president for institutional advancement. Williams announced in September that it would begin the transition from college to university, with the change becoming official this summer. This fall’s students will be the first to enroll under the name Williams Baptist University. Williams Baptist University is nearing the completion of its college to university transition and WBU’s email domain has been one of the most recent updates. To reach Williams employees by email, the domain address is now @williamsbu.edu. “This is another exciting facet of our change to a university, and we are pleased to launch our email and website as williamsbu.edu. The change of electronic addresses is actually a major undertaking, and we extend our deepest thanks to the Williams IT department for the long, hard hours they have invested in making this transition happen so smoothly,” said Dr. Brett Cooper, vice president for institutional advancement. WBU has been operating as a university throughout the summer, and a full-campus transition as been several months in the making. The first semester as Williams Baptist University is set to kick off with freshman orientation in August. Williams is a Christian, liberal arts university located in Walnut Ridge. Three students at Williams Baptist University have been inducted into Alpha Psi Omega, a national honorary drama organization. Inductees were: Maggie Morgan of Mammoth Spring, Ark., Kristin Britt of Chandler, Texas, and Ali Turbyeville of Portia, Ark. Williams is Christian, liberal arts university in Walnut Ridge, Ark. Dr. Rodney Harris, assistant professor of history at Williams Baptist University, has been awarded the Lynn E. May Study Grant from the Southern Baptist Historical Library and Archives in Nashville, Tenn.
“This grant will allow me to use the materials in the Southern Baptist Archives this summer to continue working on my project entitled “Brooks Hays and Southern Moderation,” says Harris. Hays was a politician from Arkansas who served in Congress from 1943 until his defeat in 1959. He was defeated due to his attempts to broker a moderate course of action during the Little Rock Central High Crisis. Hays also served in the Southern Baptist Convention as chairman of the Christian Life Commission, a precursor to the Ethics and Religious Liberty Commission, and was then elected president of the SBC. He later went on to serve as an advisor to both Presidents Kennedy and Johnson, as well as teaching at Rutgers and leading the Ecumencial Institute at Wake Forrest University. Harris will present “Brooks Hays and Southern Moderation” at the annual meeting of the Southern Historical Association in November. “It is part of a larger project I am working on, a biography of Brooks Hays, that I hope to get published,” said Harris. The grants are in memory of Lynn E. May Jr., who served as executive director of the Historical Commission from 1971 to 1995 and who was instrumental in the establishment of the Southern Baptist Historical Library and Archives. A new Pre-Law Society is set to launch this fall at Williams Baptist University. The society will provide coordinated support and valuable resources for students interested in going to law school after graduating with their bachelor’s degrees. Williams Baptist University has honored Dr. RoseMary Weaver for her years of service and dedication to the institution. Weaver will retire at the end of this month, after implementing WBU’s new online and graduate programs. 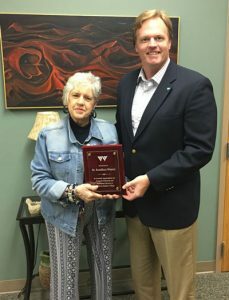 Dr. Brad Baine, academic dean at Williams, presented Weaver with a plaque in recognition of her time at Williams. Weaver was the first chair of the Williams Teacher Education Program in the 1990s and guided WBU in beginning its Bachelor of Science in Education degree. Since then, the WTEP has earned wide respect across the region as it has prepared teachers in eight education majors. After leaving Williams, Weaver served as curriculum coordinator for the Pocahontas School District, but she returned to WBU to help launch its graduate and online programs. In her most recent role, she has guided Williams in launching its first graduate degree, the Master of Arts in Teaching, which began last year, and in preparing its Master of Science in Education degree, which will launch this fall. Williams offers undergraduate and graduate degrees in various areas of study. For more information, visit williamsbaptistuniversity.com. Reggie Smith knows first-hand the struggles minority students often face in funding their college education. Now, he is stepping forward to help those students get a Williams Baptist University education. Smith, a 1985 Williams alumnus, has launched the Reggie Smith Foundation Minority Scholarship for WBU students, and the foundation has announced its first class of recipients. 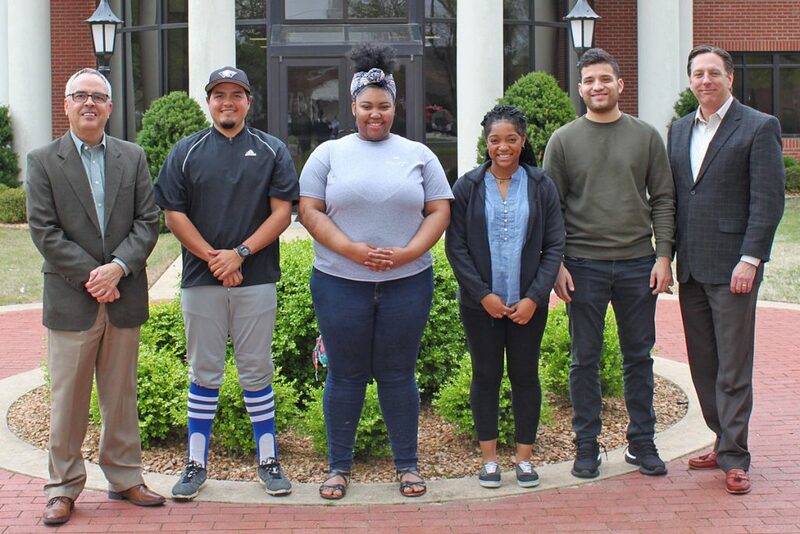 Students who will receive the scholarship this fall are: Dara Britton of Raytown, Mo., Travon Cobb of Dumas, Erik Mercado of Senath, Mo., Jada Olloway of Jonesboro and Ricardo Quintero of Caracas, Venezuela. “Looking back on my educational experiences, I wanted to see if we could help minority students who attend Williams in getting access to some much needed financial assistance to continue their educational pursuit,” Smith said. (left to right) Dr. Brett Cooper, Ricardo Quintero, Jada Olloway, Dara Britton, Erik Mercado and WBU President Dr. Stan Norman. Smith, who lives in the Dallas area, is a graduate of Pocahontas High School. He is a US Army veteran, and for the past 24 years he has been in sales management within the pharma/biotech industry. He said he established the scholarship to assist and inspire a new generation of Williams students. “I hope it helps them bridge a financial gap they may have in acquiring their education. I also hope it inspires them to see a person of color being in a position to reach back and help someone and that they too can do that one day,” he noted. 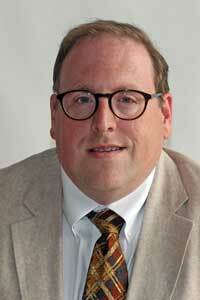 Smith said the foundation plans to select recipients and award the scholarships annually. “It is incredibly gratifying to see one of our alumni take the initiative and help today’s students follow in his footsteps at Williams. On top of that, it has been very enjoyable working with Mr. Smith as his foundation has developed this scholarship. 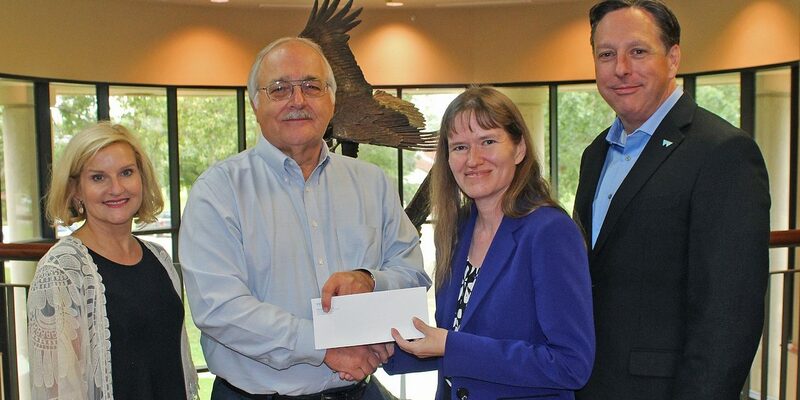 We are truly grateful to the Reggie Smith Foundation for assisting WBU students in such a meaningful way,” said Brett Cooper, vice president for institutional advancement.